Sometimes we are focusing too much on our face that we're neglecting our body skin. Yes, that happens to me as well. The more I take care of my face, the more I realized that my body skin is far worse than my face. I'm that person who hates to put on body lotion because I hate the sticky feeling after (mixed with sweat then I'm doomed). And that's why I'm tempted to try another Japanese product; Cowstyle Bouncia Body Soap. Just like Milky Body Soap, Bouncia is one of the personal care brands under COW BRAND; a Japanese company established for more than 100 years. In Indonesia, COW BRAND is available since 2013, I've written about the launching once (COW BRAND is Finally in Indonesia!). 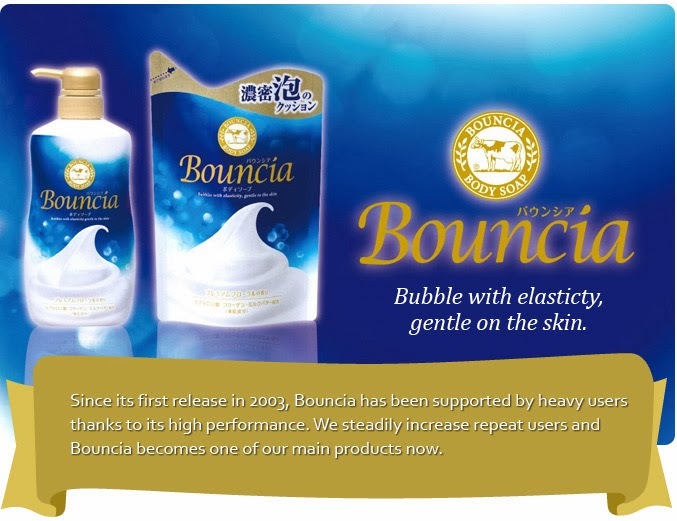 Bouncia is premium body soap brand from COW BRAND. And as I mentioned before in my Milky Body Soap review, all Cowstyle products are made in Japan. And so is Bouncia. Compared to Milky, Bouncia has more elegant feeling to it. I love the packaging better than Milky, of course the positioning is different, but if I have to pick my favorite, it will be Bouncia. The solid and rubbery foam particles like a "whipped cream", that can penetrate into the skin pores to keep it clean and moisturized. Enriched with Hyaluronic acid, collage, and milk butter, to keep skin moist and soft. And it's compatible for all skin types, even for dry & sensitive ones. It can help get rid of the dead skin cells with one of the ingredients; Licorice-derived Dipotassium glycyrrhizate. I love how easy to create bubble foam with Bouncia! Not to forget that the quality of the bubble foam is the best among any other body wash I've ever tried. The texture of the foam is super thick and it holds! Also, even though the price is 'premium', it's a great deal since I don't have to use lots of it for one wash. Yes, I usually need 1-2 pumps only for my whole body. And the difference is real, right after the shower, my wholo body skin feels sooooooo moist. Remember the dry ('kesat' in Indonesian) feeling every time after we shower? And yet, we mistaken it as a sign of cleanliness. Noooo! It's super duper wrong, because washing our body doesn't equally means that we're drying it. Moreover, you have to forget your habit of rubbing your skin in order to clean it better. It will only make your skin drier and irritated. With the right soap like Bouncia, you don't have to rub it so hard, just a soft touch from the bubble foam can infiltrate right into your skin pores, leaving it cleaned and moist. My verdict? I looove it. I love the packaging, the design, and also the benefit it gave to my skin. Unfortunately, the price is kinda expensive for a body soap (even though I guarantee it will worth the price) and it's still hard to find it. Actually, you can buy it at Guardian, PAPAYA, Metro, Watson, Yogya Super, Setiabudi Super, Grand Lucky, Ranch Market, AEON, Century, and Hypermart (OFFLINE). 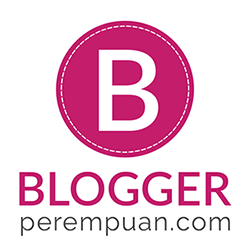 For online, you can find it in Sukamart & Nihonmart. But, the stock is super limited, so stock up your Bouncia! Pernah cobain dan wanginya tuh seger banget bangettt.